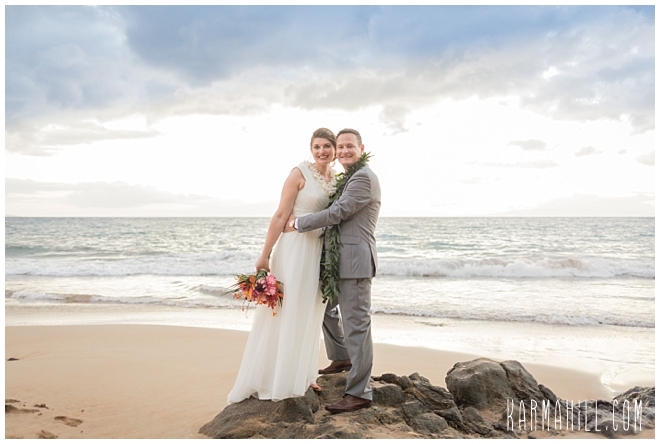 Cecile & Brett's Maui Beach Wedding! 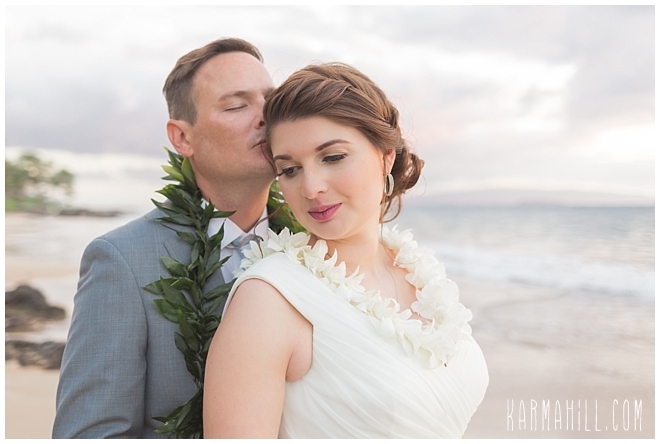 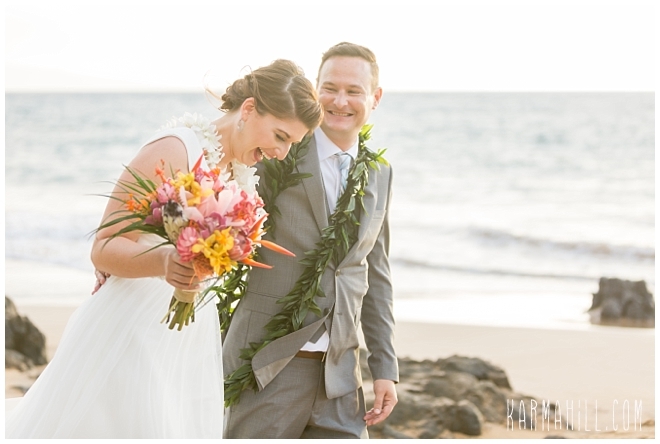 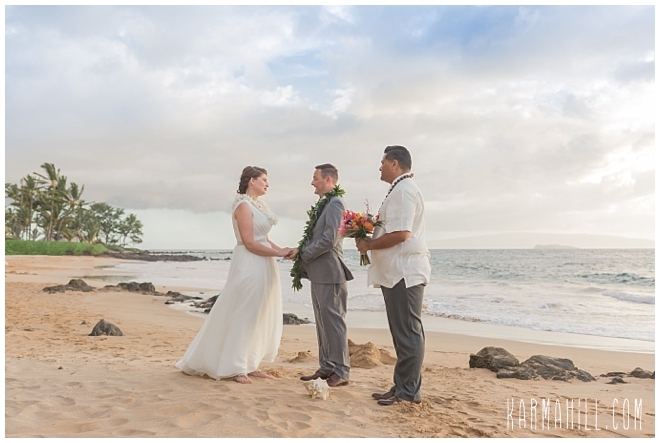 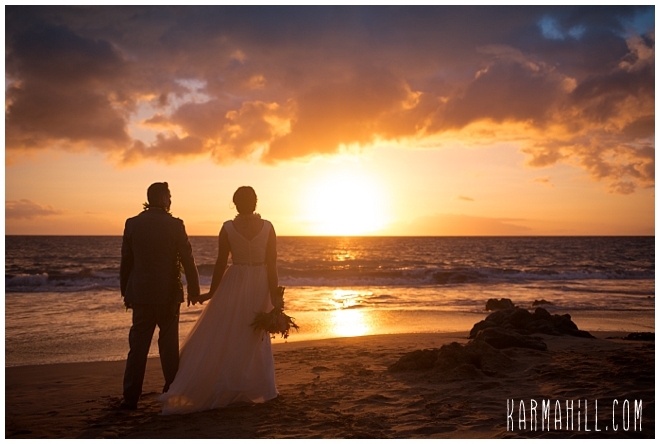 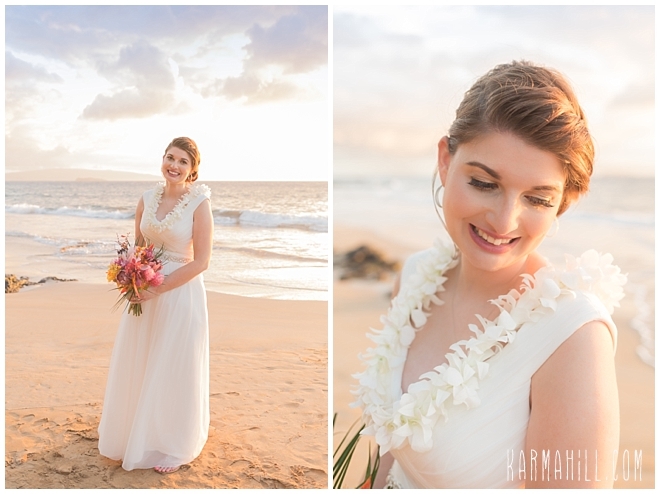 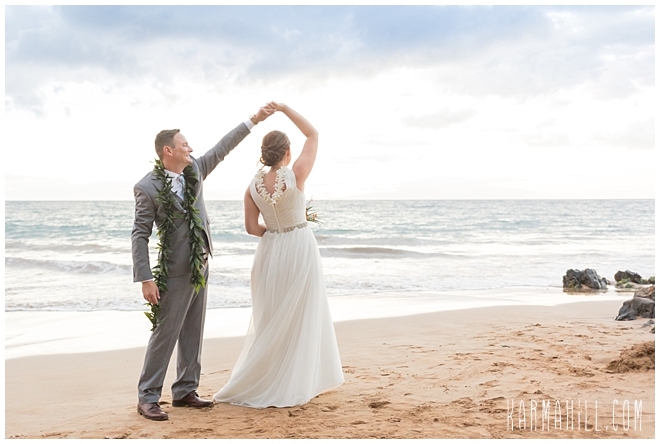 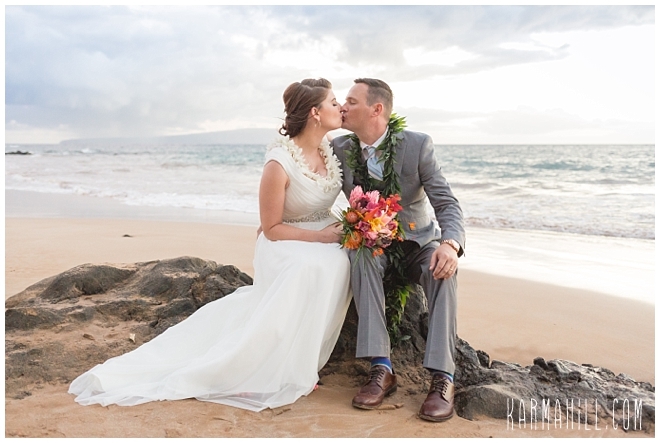 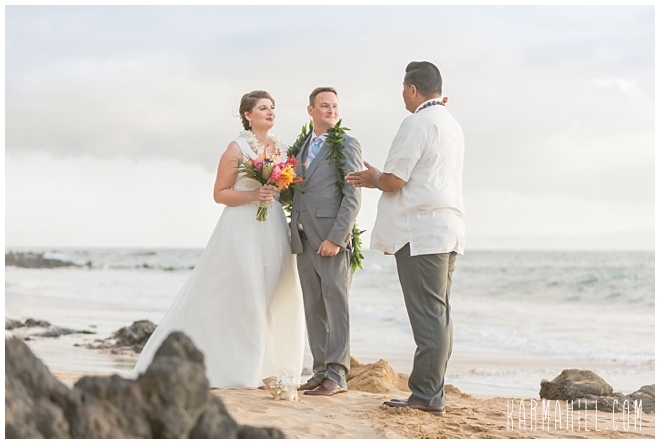 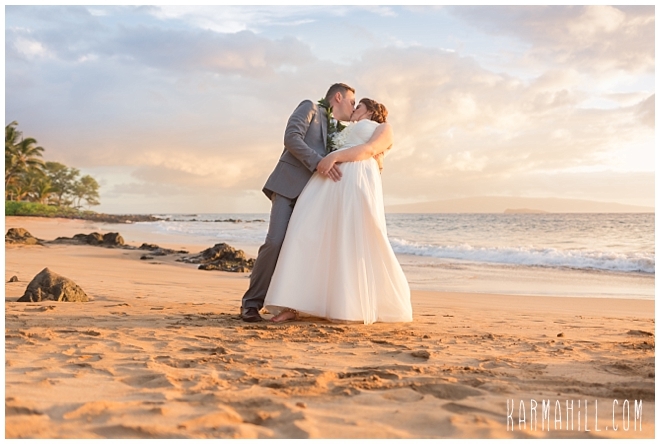 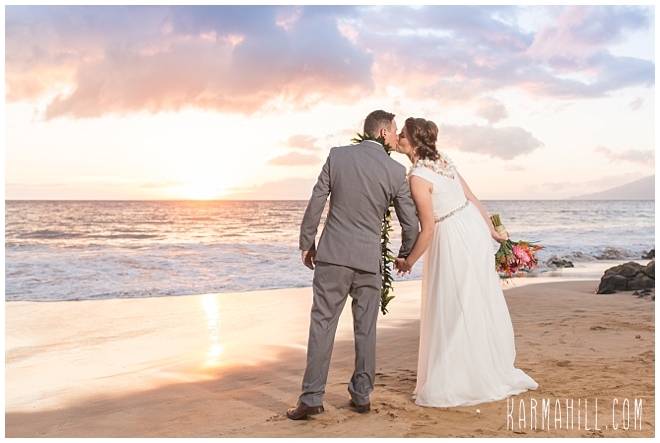 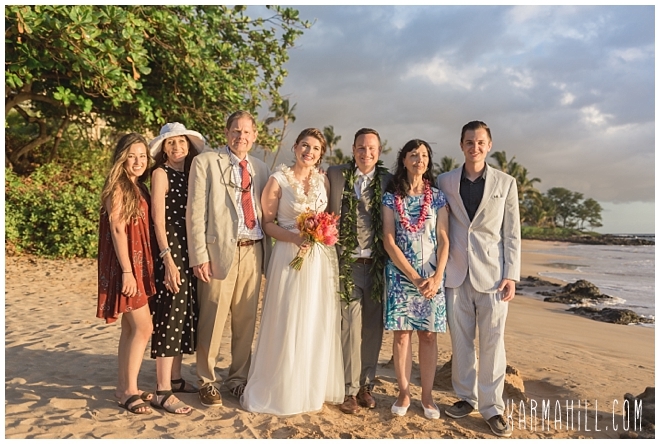 Cecile & Brett chose us to coordinate and capture their Maui beach wedding last week! 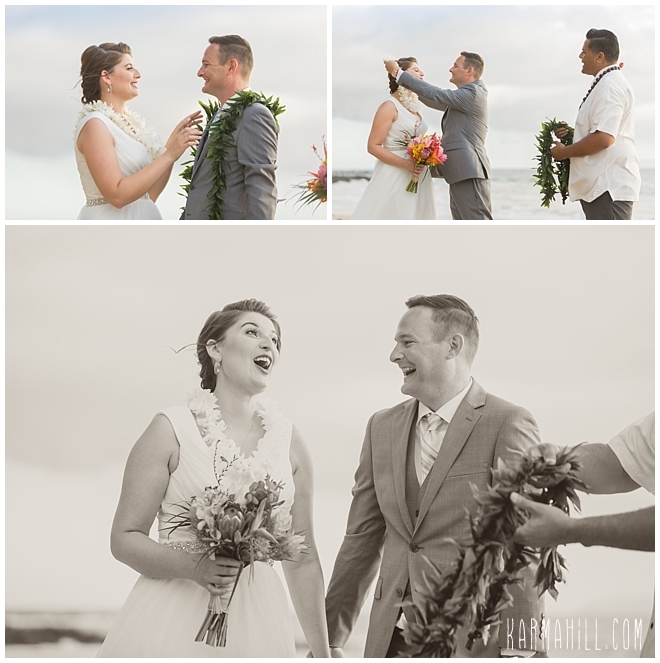 They were so sweet and easy going and it's couples like this that make us really enjoy what we do. 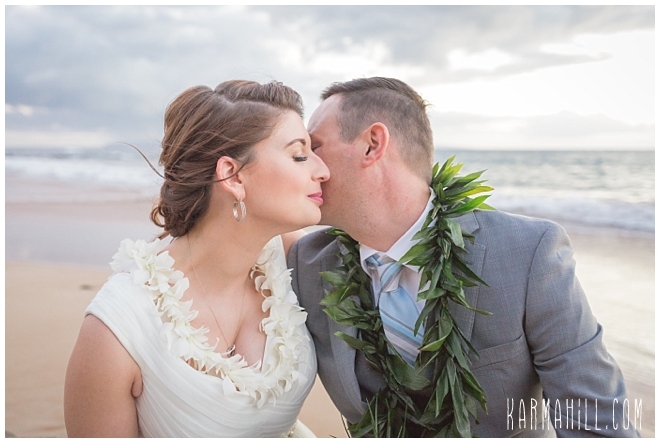 We met them at Polo Beach where we set them up for a first look shot. 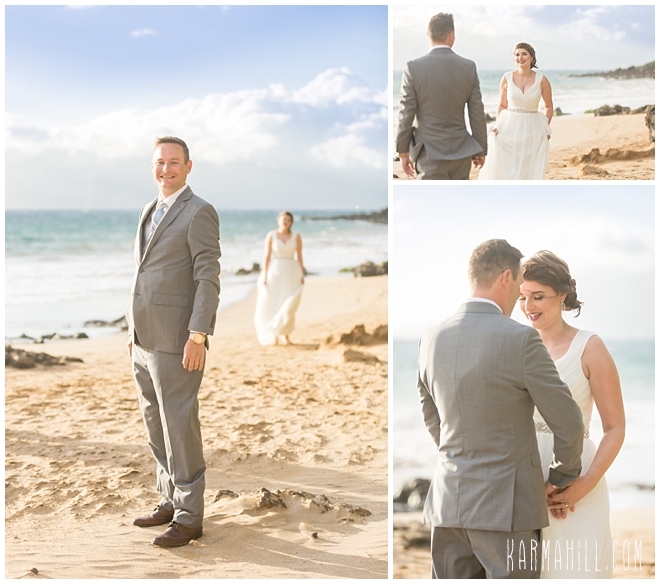 As Cecile walked up behind Brett he was filled with excitement! 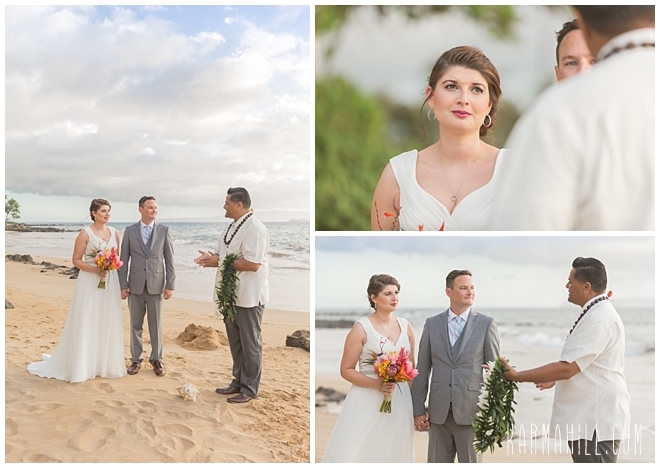 They were then married by Reverend Valentine Rosete and their special day was captured by staff photographer Cheynice! 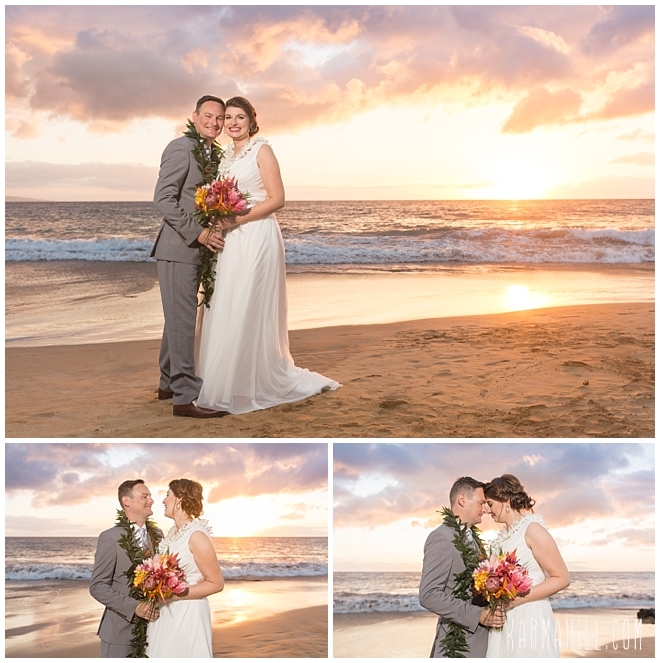 The evening was perfect and we could not be any more excited to share these pictures with you! 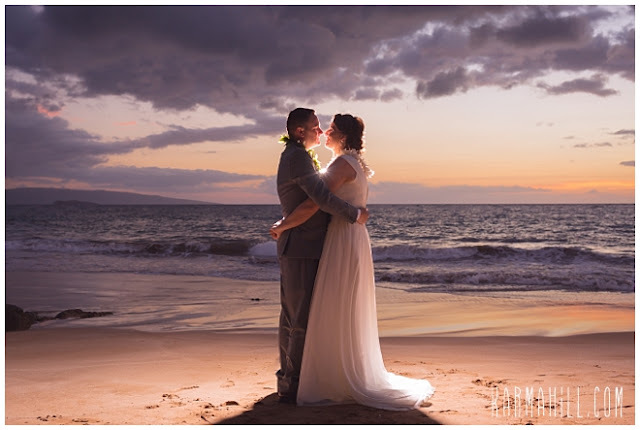 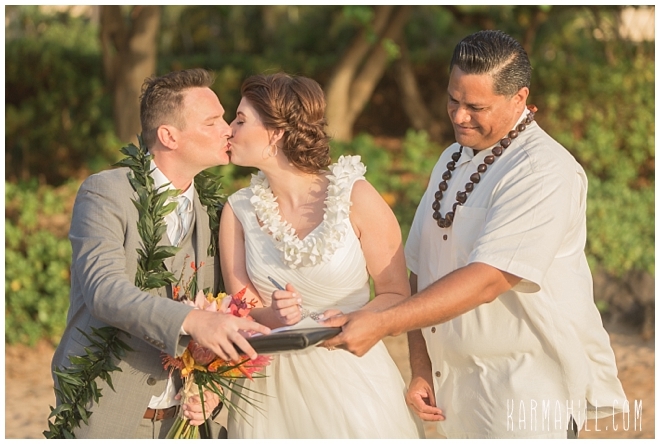 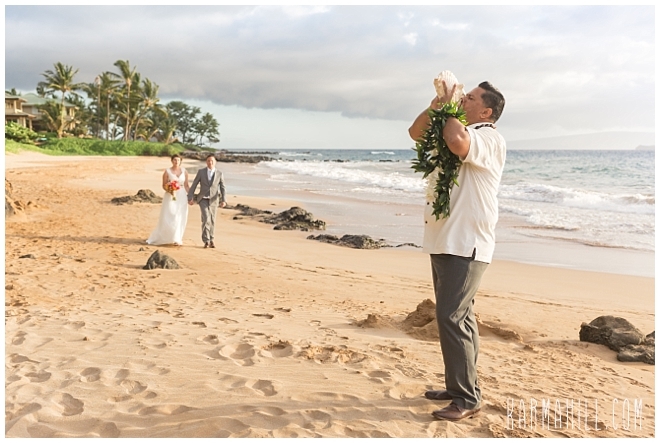 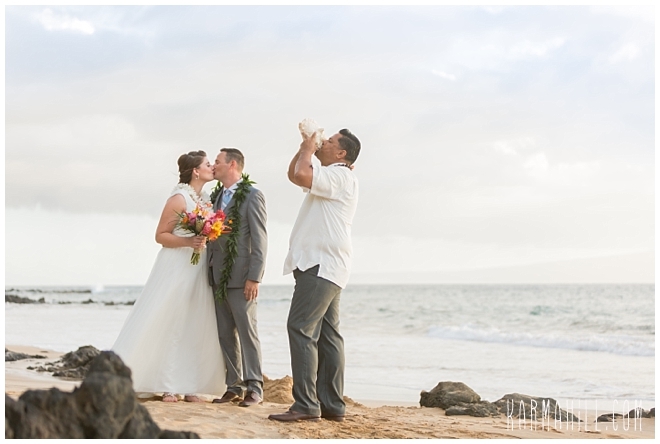 Check out our last Maui beach wedding with Sally & Brandon!